Succulent Salmon drizzled with a tangy, citrus sauce. Pan sear the salmon and lightly roast in the oven. Combine the KNORR Hollandaise Sauce with the yuzu and butter and heat. *If yuzu lemon juice is not available, substitute with lemon juice. 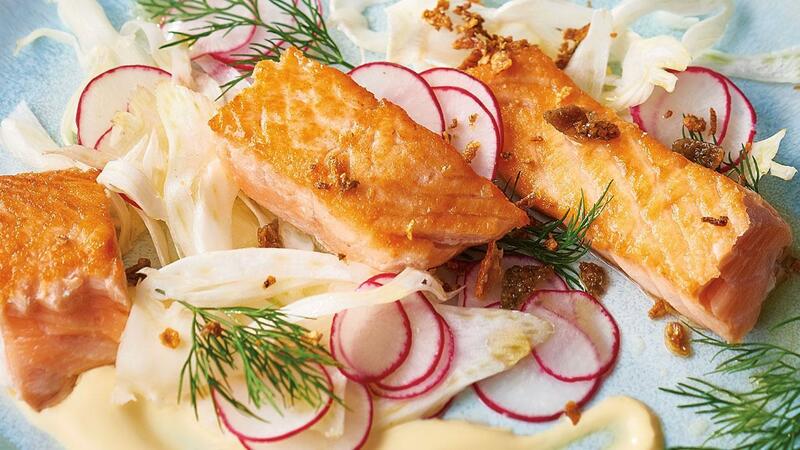 Serve with the fennel, radish and dill.